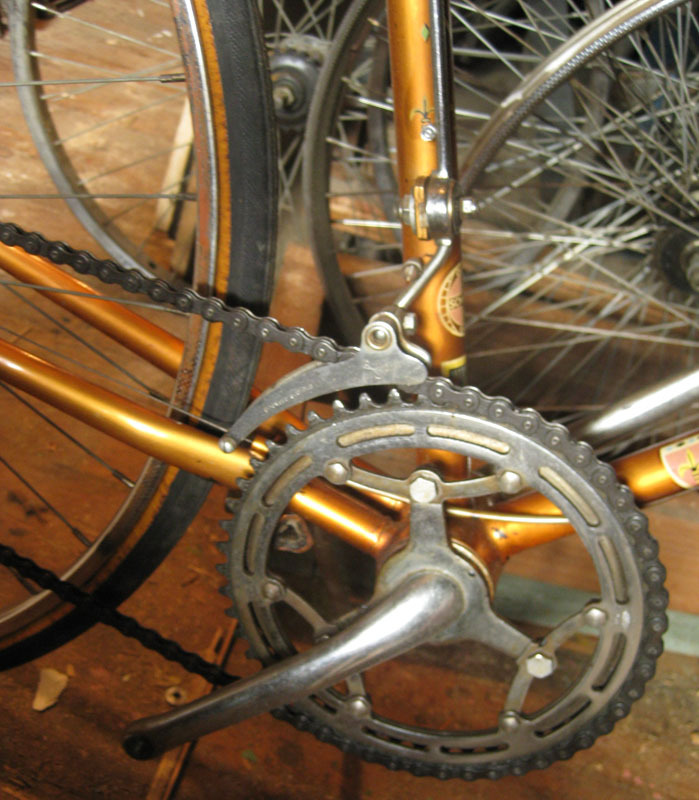 This early 1960s Schwinn Continental is an early attempt by Schwinn to make a multispeed bicycle using derailleurs rather than internal hub gearing. 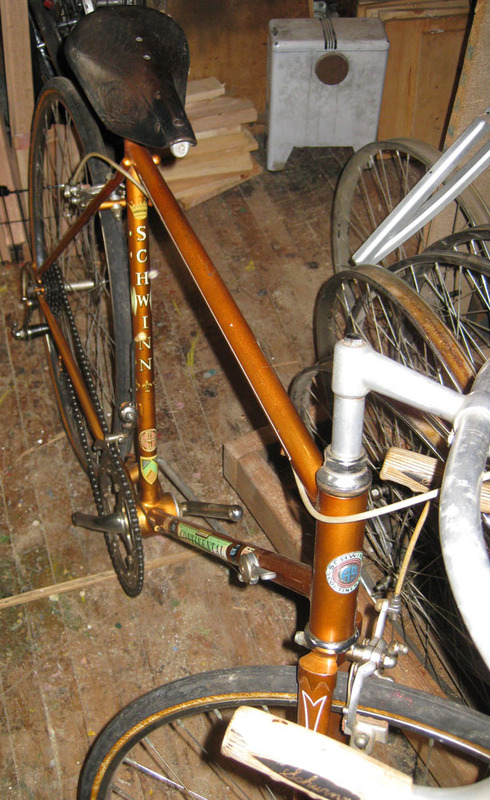 The Schwinn Paramount was available in the 1950s with European derailleurs, but it wasn’t until 1960 that Schwinn put a derailleur geared bicycle into mass production. That gear it came out with an 8speed Schwinn Varsity and 10 speed Schwinn Continental. 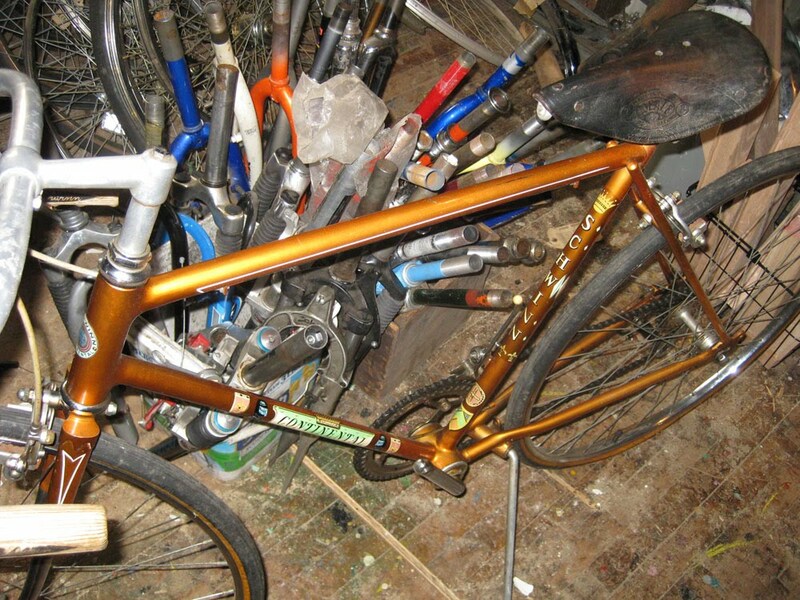 It was outfitted with a Simplex hand operated front derailleur that had a braze on tab on the seat tube. 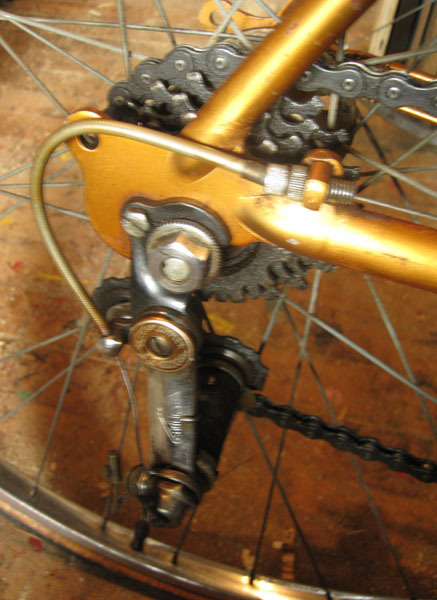 That was soon changed to a normal cable operated front derailleur, and these Schwinn “lightweights” soon became Schwinns most successful selling models. 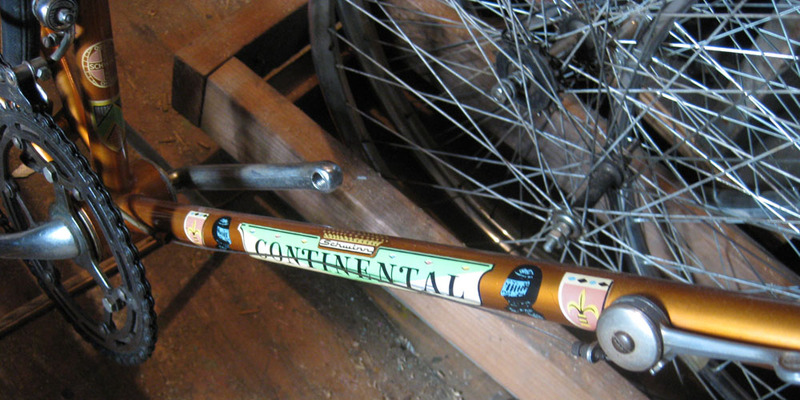 Here are some pics of a Schwinn Continental we have lurking in the woodshop at the bike shop. A customer called and was interested in seeing photos of it, so I emailed them to him, and here they are for you too. Sorry they are not the best, lighting is poor there, and it is packed full of bicycles. Funny, not that much wood in the woodshop, mostly bicycles. what a great story! thanks!! nice to hear about the bikes actually being ridden.